Facebook defied expectations of a boffo IPO. But does its disastrous outcome spell doom for startups seeking funding? Not at all. Facebook stock has lost 25% of its value since it went public May 18 at $38 a share. Investors took a look at its price/earnings ratio of 104 and decided that since its earnings had fallen 14% in the quarter before and General Motors had decided to pull its $10 million advertising account, Facebook was not worth $104 billion. If its earnings grow at the 22% forecast over the next five years, the stock is worth $8 a share -- at May 29’s $28, that leaves plenty of money for short-sellers to scoop off the table. 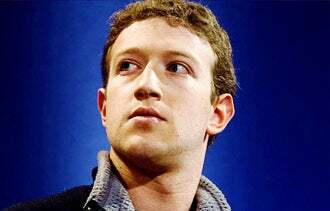 And even though Facebook did not soar to $100 on its first day, venture-capital firms that invested early made billions in profit. Top-dog Accel Partners took in an estimated $1.8 billion that day. So there is even more money sloshing around Silicon Valley looking for a home in a rapidly growing start-up with a great chief executive. Facebook’s busted IPO is at worst a cautionary tale for other companies that would aspire to an IPO. And the lesson is to set the offering price low enough so that investors in the IPO can make money after the first day of trading. Pricing even a hyped IPO low enough for investors to profit on the first day of trading can be done. In 2004, for example, Google went public at $80 and closed the day at $100. Thanks to triple-digit earnings growth, that was still a low price. Google ended 2004 at $196. Can the start-up offer competitively superior customer value and generate revenues? Will rapidly growing technologies, business models, or social changes boost demand? Do potential customers have a big problem that no companies are solving? Are leading companies and technologists working to solve the problem? Have superior industry knowledge and a compelling vision for your start-up’s future. Have a winning track record and the passion to keep winning. Are smart, curious and a doer of frugal, fast experiments. Can identify and manage business risk. Have charisma, integrity and the ability to attract, hire and motivate top talent. If you can do this, all you have to do is get a "warm introduction" to the VC -- through an intermediary who the VC trusts and who knows you well. Then you need to survive a rigorous screening process that gives you a two in 1,000 chance of winning a share of that VC cash.